We clean a number of commercial buildings from retail outlets to office buildings and offer the same full range of services to commercial customers as our domestic customer base.Whatever your cleaning requirements, please contact us to get the cleaning solution that suits you best.We are covered by £2,000,000 public liabilty insurance and pride ourselves on offering a professional, friendly and affordable service. We clean a range of residential properties from single storey bungelows to large period properties and always clean glass, frames, sills and doors within the price we quote. 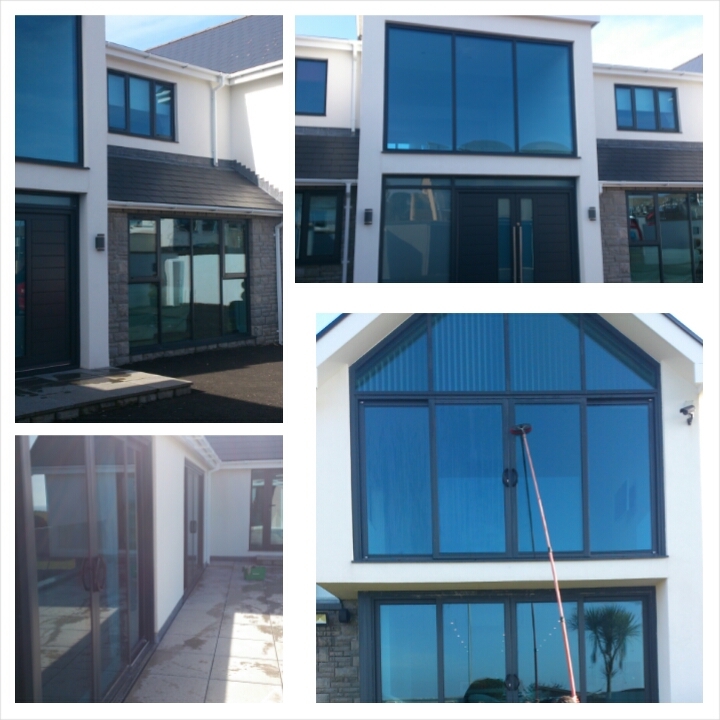 Additional services include: interior glass clean, conservatory glass and uPVC cleaning, gutter cleaning, fascia and soffit cleaning, pressure washing and solar panel cleaning. 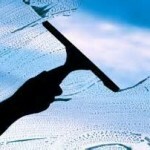 We pride ourselves on providing a year-round service on a cleaning schedule that suits you. Although most customers opt simply for a monthly clean, we can clean on a fortnight and six-week cycle depending on your needs or requirements. 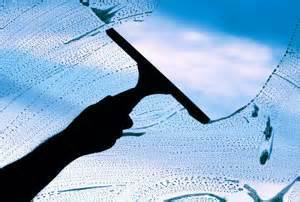 We even offer a one-off clean at competitive rates. We use the latest in pure water cleaning technology which takes ordinary water through a 5 stage purification process to make it completely free of any impurities. This super-clear water is streamed through extendable poles and applied with soft brushes onto the glass without the addition of chemicals. As the water is so pure it dries without any streaks or water marks. 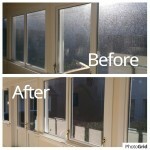 The windows can remain cleaner for longer as there is no chemical residue that could attract dirt or airborne particles. 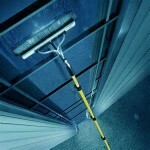 This method of cleaning allows us to clean without using ladders so is safer and more effective than traditional methods. There are many properties which still suit using traditional methods of cleaning, especially period properties with original delicate panes of glass. 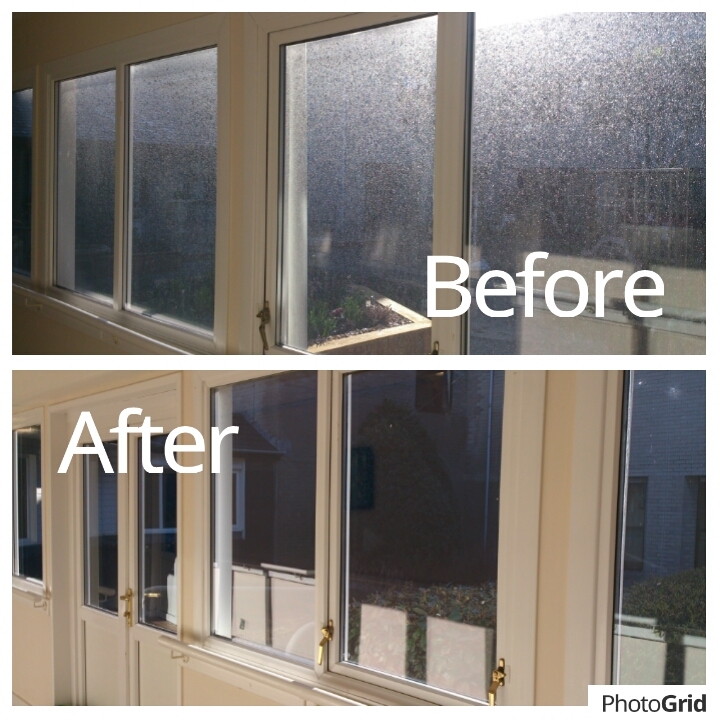 We offer a quality traditional clean using Unger products and specialist detergents and clearing agents that will not damage the glass. 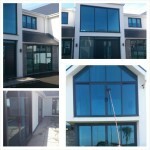 Typically the glass, sill and frames are finished and dried using premium cotton scrim cloth.